Getting back to work after Cancer sparks debate! If you have read my post – What maternity? 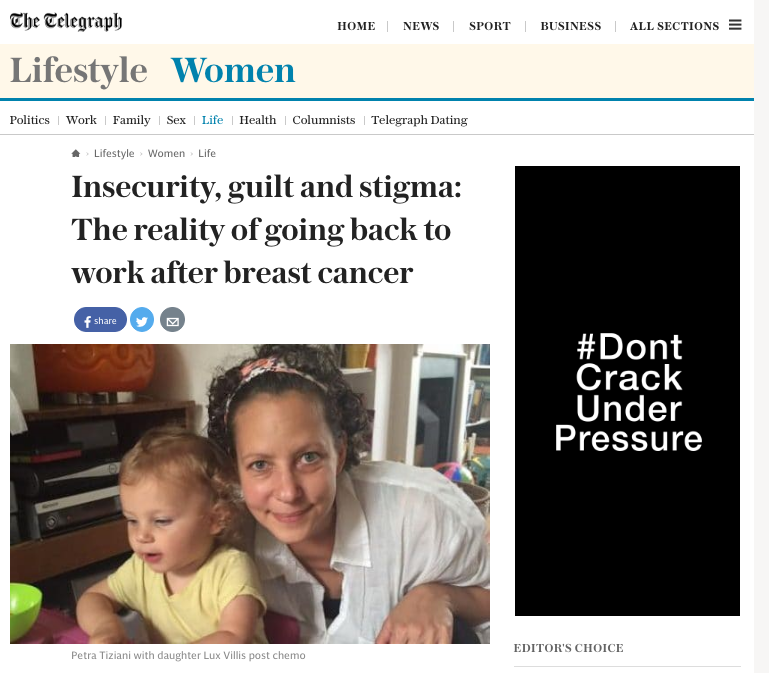 And getting back to work after Cancer – then the Telegraph Women’s page has kindly added a further interview here.It seems it’s a common theme with many people feeling discriminated against when going back to work post sickness. Have a look here for the full interview! THE MOR CHARITY SWEATSHIRT – LAUNCHING SOON!! We’ll also this month be launching our charity sweat, hoping to raise funds and awareness for #BreastCancer and #BreastCancerResearch. 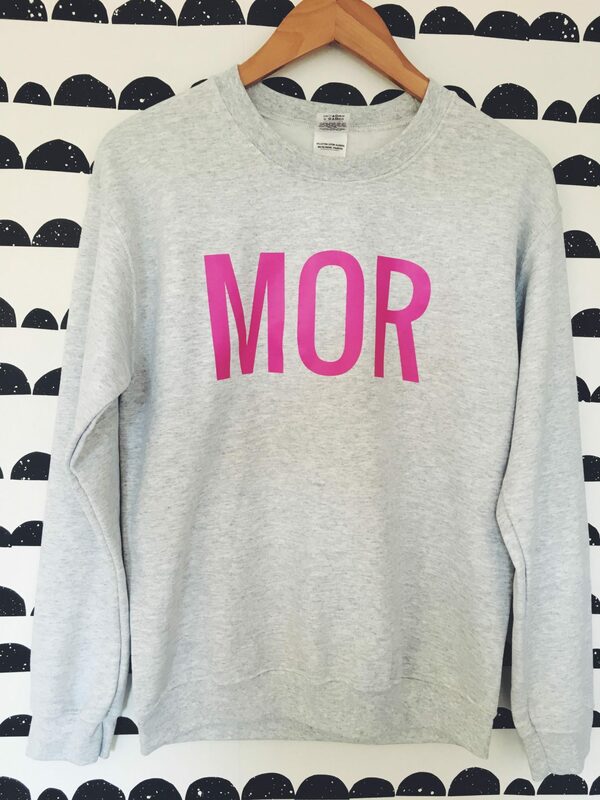 The neon pink stylish MOR text on ash grey sweater has been designed and printed in the UK. Scandinavian Chic! MOR means MOTHER in Danish, so get your scandi on and order one now. All profits from our Sweat will go to the following Charities! Previous Post What maternity leave? and getting back to work after cancer! Next Post THE MONMUM CHARITY SWEATER STORE GOES LIVE!! !